The Department of Energy Fundamentals Handbook entitled Electrical Science was prepared as an information resource for personnel who are responsible for the operation of the Department’s nuclear facilities. A basic understanding of electricity and electrical systems is necessary for DOE nuclear facility operators, maintenance personnel, and the technical staff to safely operate and maintain the facility and facility support systems. The information in the handbook is presented to provide a foundation for applying engineering concepts to the job. This knowledge will help personnel more fully understand the impact that their actions may have on the safe and reliable operation of facility components and systems. The Electrical Science handbook consists of fifteen modules that are contained in four volumes. The following is a brief description of the information presented in each module of the handbook. This module describes basic electrical concepts and introduces electrical terminology. This module describes the basic concepts of direct current (DC) electrical circuits and discusses the associated terminology. This module introduces the rules associated with the reactive components of inductance and capacitance and how they affect DC circuits. This module introduces batteries and describes the types of cells used, circuit arrangements, and associated hazards. This module describes the types of DC generators and their application in terms of voltage production and load characteristics. This module describes the types of DC motors and includes discussions of speed control, applications, and load characteristics. This module describes the basic concepts of alternating current (AC) electrical circuits and discusses the associated terminology. This module describes inductance and capacitance and their effects on AC circuits. This module presents power calculations for single-phase and three-phase AC circuits and includes the power triangle concept. This module describes the operating characteristics of AC generators and includes terminology, methods of voltage production, and methods of paralleling AC generation sources. This module describes the basic operation and application of voltage regulators. This module explains the theory of operation of AC motors and discusses the various types of AC motors and their application. This module introduces transformer theory and includes the types of transformers, voltage/current relationships, and application. This module describes electrical measuring and test equipment and includes the parameters measured and the principles of operation of common instruments. This module describes basic electrical distribution systems and includes characteristics of system design to ensure personnel and equipment safety. The information contained in this handbook is by no means all encompassing. An attempt to present the entire subject of electrical science would be impractical. However, the Electrical Science handbook does present enough information to provide the reader with a fundamental knowledge level sufficient to understand the advanced theoretical concepts presented in other subject areas, and to better understand basic system and equipment operations. 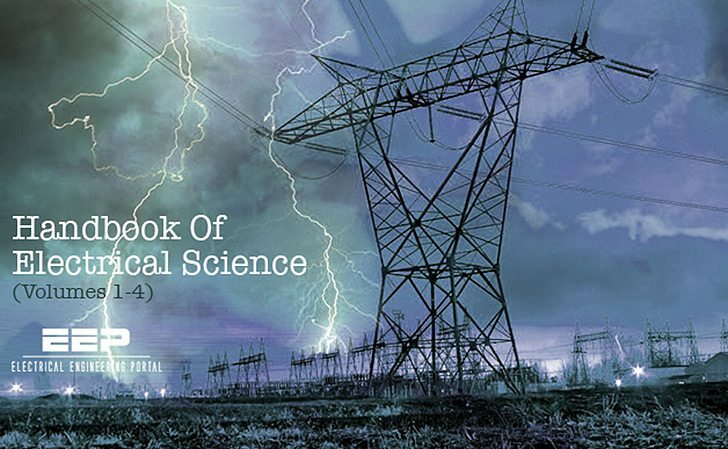 Title: Electrical science fundamentals handbook Volumes 1-4 – U.S. Department of Energy, Washington, D.C.
Load flow studies between 132KV , 33KV , 11KV Systems. That also lncluding ( transformers and reactors ) with diffferent capacity. Thank you very much. This is the first book I download. can not down load. why? I want to know about bus bar size calculation. How can calculate the bus bar size in all panel. It is requested to give me calculation sheet. I am unable to download the file. Is there a proble on your end? Can you email it? Thanx in advance.